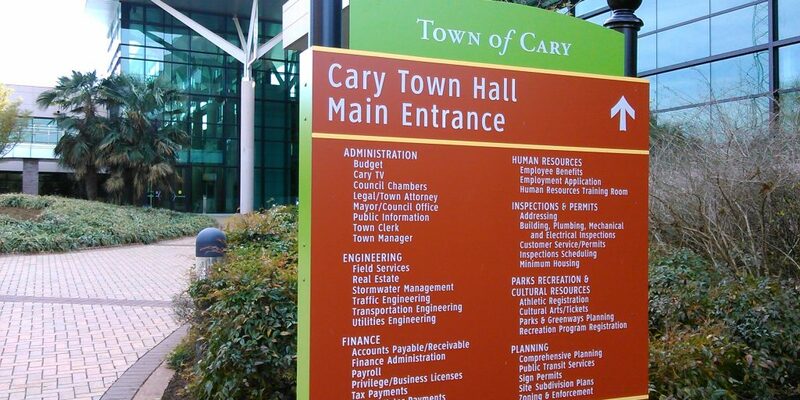 Cary, N.C., is increasing interdepartmental cooperation to better serve its citizens. Cary, N.C., already has much to be proud of. The town of 162,000 was named the second-most livable mid-sized city in the U.S. with the sixth-best quality of life. It’s attractive to businesses, too. It was named one of the ten best places in the South to relocate your headquarters. Business is growing there. Last year, it added 3,000 jobs. But Cary wants to do even better. It wants its own identity of success, in addition to its Research Triangle one. And it wants to rank even higher on the quality of life rankings. Cary, one of five winners of the 2018 Smart Cities Council Readiness Challenge, believes that smart cities principles are key to accomplishing that and it used its Readiness Workshop as a vehicle to plot a roadmap forward. Smart cities tear down silos that keep their departments from working together. In Cary, this effort is part of building what it calls a 360-degree view of the city. The opportunities are great. Imagine being able to present someone who’s thinking about moving to the area with a real-time simulation of the city, showing everything from traffic to water usage. But there are challenges, too. To that end, about one hundred workshop participants divided themselves into working groups to explore how to integrate data, improve the health of the community by improving sewer system reliability, and improve traffic flow without dramatically widening roads. The integrated data infrastructure group focused on three key goals: finding ways to integrate operations, how to demonstrate value, and how to promote data standardization throughout the region by working with regional partners and businesses. In the short-term, the group suggested the city work to establish a single source of truth with its systems and data. It’s going to take humans to bring disparate systems together before a comprehensive system can do much with the data. It also suggested the city develop a data governance plan that emphasizes standardization and serves as a living document that’s subject to change as the city progresses in its smart cities journey. Also, when working on any data project, focus on the function, rather than individual departments. The data needed may span several departments and focusing on the overall function improves effectiveness and helps tear down silos. The ultimate goal of the Healthy Community group was to get the sewer and wastewater system to a state where it’s predicting and anticipating issues, and addressing them before they become problems. Working group participants outlined steps the city could take with data to advance toward that goal. In the near-term, they suggested the city look at its existing data sources and determine if it’s using them to their potential. Moving toward real-time analysis of existing sensors is one top priority, as is overlaying flow data with rainfall, USGS and other data sources to better monitor conditions. The group recognized that more field sensors are likely necessary to prioritize collection system maintenance and predict where sewer spills and overflows are likely to occur, but thought the city should first conduct an analysis to see how many sensors are needed and where they are needed. They suggested the city analyze its infrastructure to see where new sensors could provide genuinely useful information, and compare the investment costs with anticipated maintenance and capital cost savings. While Cary is growing, it doesn’t want to be a community where massive thoroughfares crisscross the city. It has set limits on the number of lanes its roads should have and it’s looking for smart cities solutions to move traffic more efficiently on them. Safety is another key priority. It not only wants to reach a state of zero fatalities, it also wants to eliminate all serious-injury accidents. The mobility workgroup evaluated two potential projects. The first involved making use of its existing network of connected intersections. Two corridors have intersections that are wired and capable of receiving and sending information to drivers, such as when the traffic signals are about to change. The issue is few vehicles are equipped to make use of that. The working group suggested the city look to partner with fleet operators — everyone from the police department to the school district — to find ways of using those connected intersections to speed response times, reduce delays in getting kids to school, and so on. In addition to providing value to those fleet operators, it could also serve as a proof of concept to encourage others to adopt connected technologies in their vehicles. If a large enough base of vehicles participates, it could also help the city develop a more effective automated traffic signal management program. The working group also suggested that the city look to more effectively use mobility data. In order to launch efforts and win funding for projects, the city needs to be able to work from a baseline and show progress. Kevin Ebi is the global managing editor at the Smart Cities Council, which helps cities become more livable, workable and sustainable. Register for Smart Cities Week, October 2-4 in Washington, D.C.